The reasons for developing a long-acting product for animals differ from those typically associated with their human counterparts. In the case of animals, the reasons to develop long-acting preparations include reduction of stress to the animal, reduced herding, and reduced labor costs. In the human field, drugs incorporated into long-acting formulations need to possess certain physicochemical properties such as high potency and low dose. These characteristics do not necessarily need to be inherent with a drug that is intended to be incorporated into a long-acting formulations developed for an animal. Because of the size of the final dosage form, less potent actives with higher dose sizes can be incorporated into a long-acting formulation designed for use in an animal. Finally, durations of delivery contrast markedly between human products and animal products. In general, human long-acting preparations are designed for 12 to 24 hours, perhaps days, whereas veterinary preparations are designed to last for weeks or months. A useful review article on long-acting parenterals for veterinary medicine has been published by Medlicott et al. (51). Solutions Several solution dosage forms exist for administration to an animal. For example, Ivomec injection (Merial, Harlow, Essex, U.K.) is a solution of 1% w/w ivermectin in propylene glycol and glycerol formal, which is given subcutaneously at approximately 200 |ig/kg in cattle and 300 |ig/kg in pigs. This injection is given once a month for the treatment of endoparasites. The main reason the injection is so long lasting is that the half-life of ivermectin in cattle is long and the potency of the compound is high, allowing even trace levels of the drug in the blood to be effective. 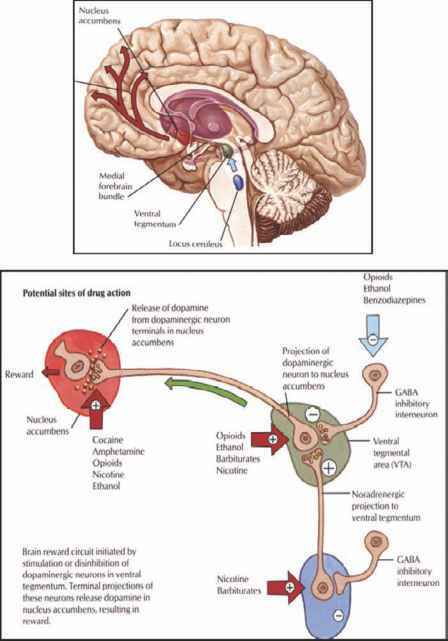 The half-life of the drug combined with its formulation into a nonaqueous vehicle (which allows for the creation of a depot at the site of injection) prolongs the action of the drug for over a month. Similar results are also seen with the doramectin and moxidectin products, since they are of the same drug classification and exhibit similar half-life profiles. In the area of antibiotics, florfenicol and oxytetracycline have been developed as long-acting injectables. Nuflor® injection (florfenicol) was developed by Schering-Plough to replace a chloramphenicol product, which needed to be administered at frequent intervals to combat bovine respiratory disease, or shipping fever. The dose of florfenicol is approximately 20 mg/kg; however, its solubility is low in most solvents. Therefore to improve the drug's solubility, the formulators devised a complex nonaqueous cosolvent system, which allowed for sufficient drug to be administered once every two days. The solvents added to the formulation include propylene glycol, polyethylene glycol, and n-methyl pyrrolidone, which allows for dosing at 48-hour intervals. Suspensions Oxytetracycline has been formulated to combat shipping fever (i.e., bovine respiratory disease). The development of the Liquamycin® LA by Pfizer has been well documented in the literature (52). In this case, tetracyclines were well known to also be insoluble, as well as irritating, upon injection. To alleviate this problem, formulators identified 2-pyrrolidone as a solubilizer and developed methods of chelating the oxytetracycline with magnesium ion to reduce the irritation upon injection. The theory was to prepare a solution of drug that was close to saturation so that upon injection the drug would slowly deposit a fine precipitate creating, in effect, a drug suspension depot at the injection site. This depot formulation would reduce the irritation and necrosis, which had been previously observed. The resulting formulation succeeded in reducing the irritation and provided release of drug over two to three days. A unique approach to minimizing tissue residues and thus withdrawal periods is used with Pfizer's ceftiofur product Excenel Sterile Suspension for bovine respiratory disease. This one-time administered oil-based suspension is injected into the middle section of the ear. During slaughter the ears of cattle are not put into the food chain. The product is also used for swine, but for that species is given intramuscularly. Implants Implants are cylindrical rod-shaped delivery systems that contain drugs incorporated into lactose, cholesterol, polyethylene, or silicone rubber delivery matrices. They are typically 2 to 4 mm in diameter and up to approximately 20 mm in length. Drugs can be incorporated into the implant by homogenously distributing them throughout the entire cylinder, or as a coat that covers the surface of the cylinder. Lactose-based implants are shorter acting (~40 days) compared with cholesterol-based implants (~80 days). Silicone rubber matrices provide the longest duration of release for estrogens (~ 200-400 days). The actual duration is very dependent on the physicochemical drug characteristics, especially solubility. The amount of drug released from these delivery systems is greatest initially and slowly decreases with time, and release kinetics are typically described by either first-order kinetics or a square-root-of-time mechanism. Simple compressed pellets (i.e., small tablets) is the technology used to manufacture products for weight gain in range cattle. Depending on the drug and size of the animal, anywhere from 4 to 8 of these pellets are introduced with a single-trochar administration into the ear. Estradiol benzoate (EB), progesterone, and trenbolone acetate are the drugs used in this technology. A range of doses and actives are marketed under the tradename Synovex® by Fort Dodge Animal Health. 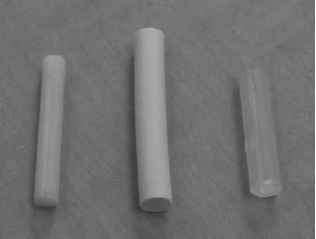 Figure 3 Subcutaneous implants (left to right: Crestar implant, Compudose 400 implant, and Syncro-Mate-B implant).